Welcome to Duty Free Information, your hub for information on all the duty free and luxury shopping available at the world’s leading airports. Here you will find all the information you need for Ostafyevo International Airport Duty Free shopping. Click here to be the first to review Ostafyevo International Airport. Ostafyevo International Business Airport (Russian: Международный аэропорт бизнес-авиации «Остафьево») (IATA: OSF, ICAO: UUMO) is a “B” class international airport, located 14 kilometres (8.7 mi) to the south of Moscow Ring Road in Novomoskovsky administrative okrug of Moscow. 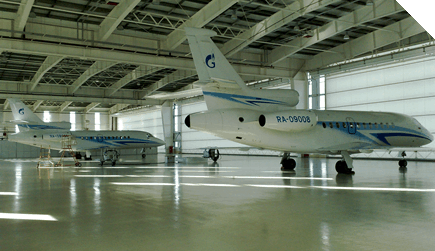 The airport is owned by Gazpromavia company, a division of Gazprom. It was renovated and opened for civilian flights in 2000 on the grounds of a former military airbase. Ostafyevo features a new modern glass terminal, and caters primarily to business aviation. It is capable of receiving aircraft Boeing 737-700, Global 5000/6000/Express, Falcon-900/2000/7X, An-12/74, Il-18, Yak-42, SJ-100, Tu-134 (noise restrictions) and more light, as well as helicopters of all types.